The Perfect Tan: a delicious milkshake with Baileys Irish Cream, chocolate and Ice Cream. 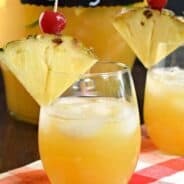 Enjoy while sitting in the sand in the sun! So if you’ve been following me on Instagram, you may have noticed my family spent two weeks in Hawaii for vacation. Today’s blog post title may have thinking I’m going to drown you guys in photos of me and my gorgeous tan. Don’t worry. I’m not (yet!!). The Perfect Tan is the name of this delicious beverage I enjoyed in Hawaii! You may have also noticed that every day on vacation (on instagram) I shared what I was drinking, haha! 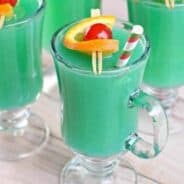 I enjoyed a new tropical drink each night. But the one that I enjoyed the most, (if I had to choose a winner) was probably “The Perfect Tan.” It could be because it’s the only one that was made with ice cream…so it’s more of a milkshake. It could be because I enjoyed that one in the hot afternoon sitting by the pool in Oahu. Either way, I knew I wanted it again. Here. At home. The problem is I couldn’t remember exactly what was in it! I knew ice cream, chocolate and Bailey’s. So that’s what I made. 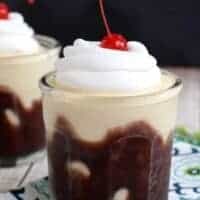 A thick boozy milkshake. Speaking of “The Perfect Tan,” is there really such thing? No matter how much sunscreen I put on my family, someone got burned each day. I was fortunate not to burn, but I’m now the color of charred leather. Definitely not a perfect tan. Okay. So, after talking about charred leather, who wants a drink??? Well now that I shared my favorite drink…stay tuned. I’ve got some new Hawaiian inspired recipes coming to the blog over the next couple weeks. Kalua Pig, Hawaiian Pizza, Pineapple Salsa, and much more! 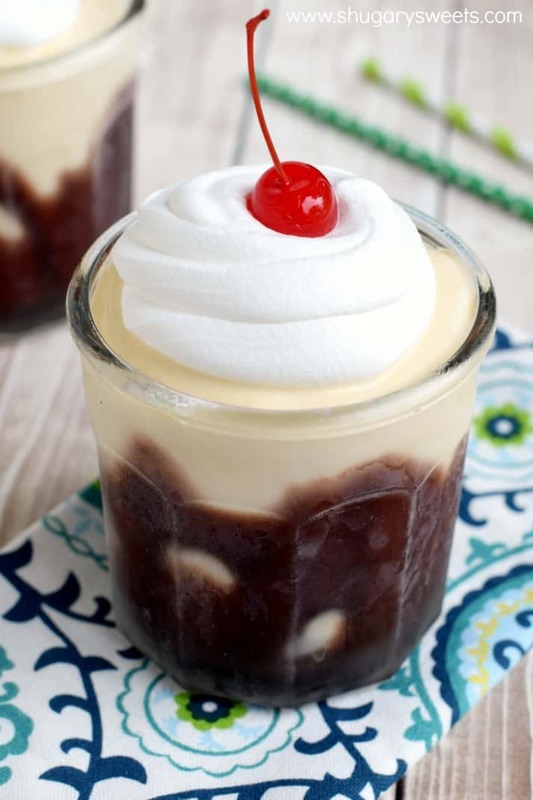 The Perfect Tan is a delicious blend of ice cream, Baileys Irish Cream, and chocolate syrup. S’mores Coffee Milkshake. Perfect afternoon treat! 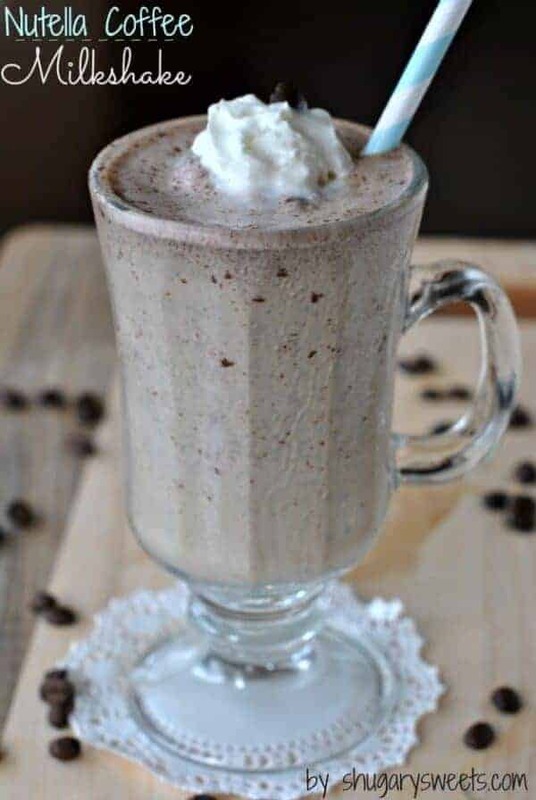 Nutella Coffee Milkshake: the nutella once combined with the ice cream gets a little bit of a crunch. YUM! 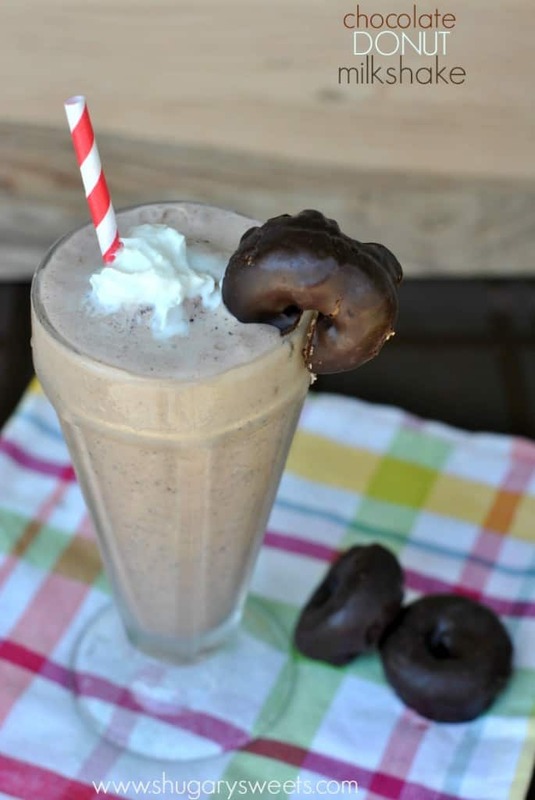 Chocolate Donut Milkshake: it sounds weird, but seriously. Give it a try! 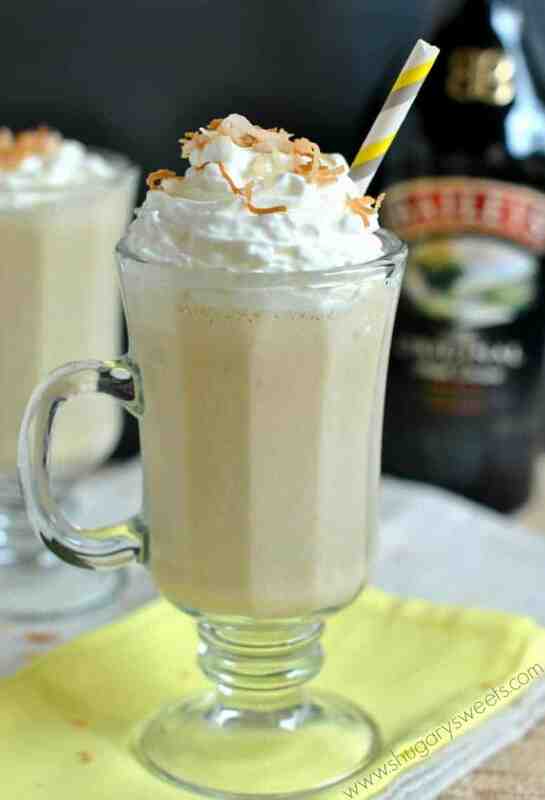 BBC: another delicious Baileys drink! This looks delicious and easy and you’re putting me in vacation mode. Well, my wife and I have really really dark skin and tan so easily. This is weird because I’m English and she’s English and Russian. Go figure. Our one daughter is dark like us and the other is like Casper. We have to put SPF of 70 on her constantly and she still burns, poor girl! I need one of these while I sit by the pool today. Hahaha, when I saw the title of your post.. I wasn’t sure what you were going to be talking about 🙂 I think I should try this perfect tan! I could seriously go one right now!!!! Good gravy! I would love to be slurping that down while sitting by the pool in Hawaii! 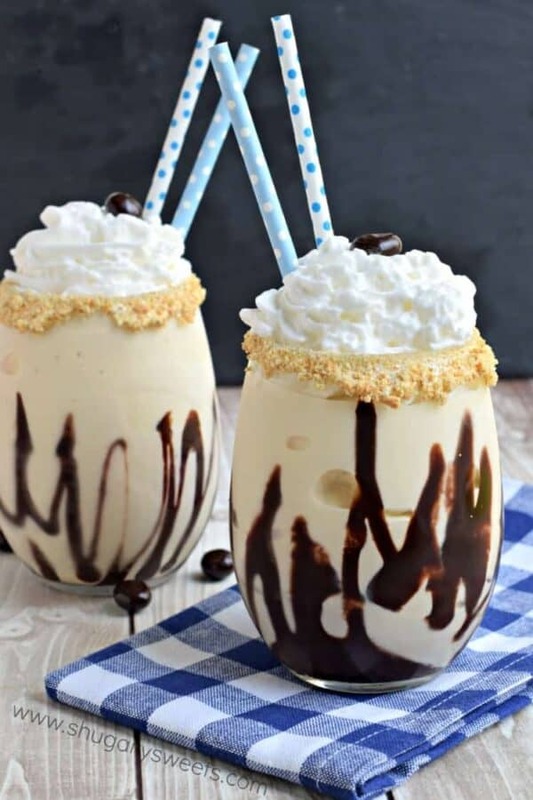 What a gorgeous and delicious shake!!! 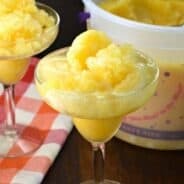 This looks perfect and delicious and cold and refreshing!! I love it! Oh man! This is my kinda milkshake!! Oh my goodness, this IS the perfect tan! Love it! Sounds like you had a wonderful time in Hawaii — how fun! And this is my kinda milkshake, I can’t wait to give it a try! That IS the perfect tan. No sun damage, just breezy deliciousness. I’m very jealous of your Hawaii trip, by the way. Gotta check out pictures so I can be madly envious even more! My husband and I were just discussing how we needed to go back to Hawaii for a visit. Maybe it’s time for us to decide where we’re retiring. 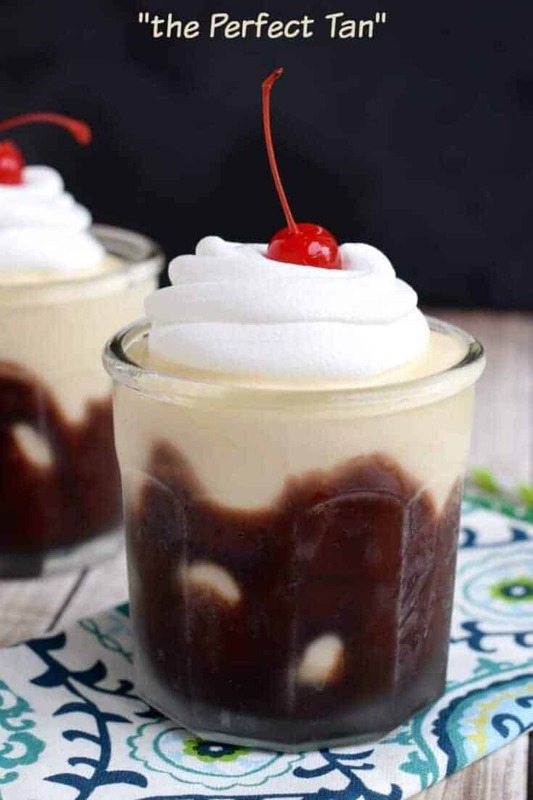 😉 I love anything with Bailey’s – this looks awesome! 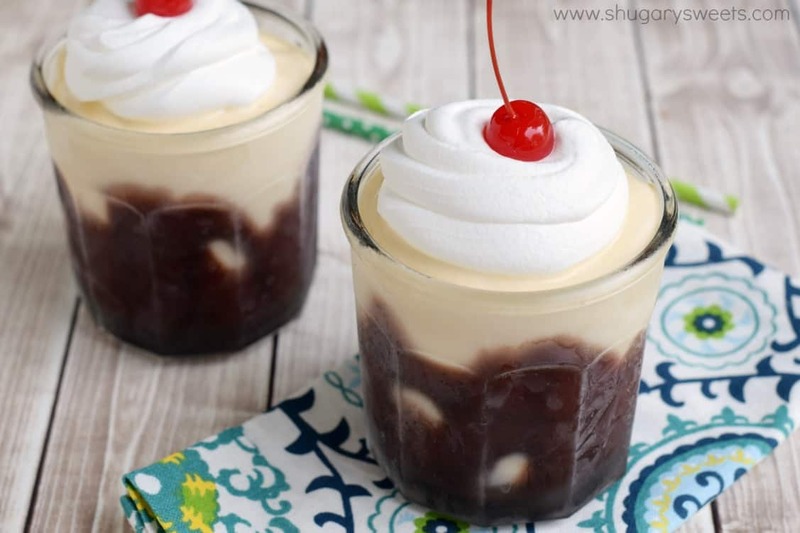 Kahlua, Baileys, Butterscotch Schnapps, blended with ice cream … Sinfully Delicious! That really will be awesome!